Marketing surveys are designed to help you gather information about your target audience including specific purchasing needs and preferences about individual prospects. 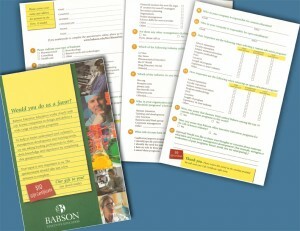 Surveys can be conducted through direct mail or email. We create marketing surveys to help you better understand your prospects. When prospects answer your questions, they help you to determine whether they have good potential for become customers. While not every response is a good prospect, many will reveal either a short-term or long-term potential for becoming a customer. Beyond the leads, a marketing survey can also provide new insight into your target market in the form of market research. 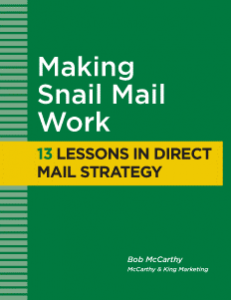 While direct mail surveys are self-contained, email surveys are actually online surveys. 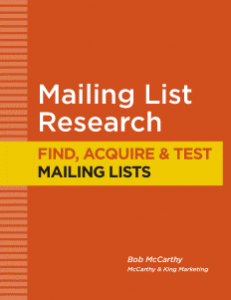 Email is used to invited prospects to fill out the survey. Obviously, email’s advantage is with price. 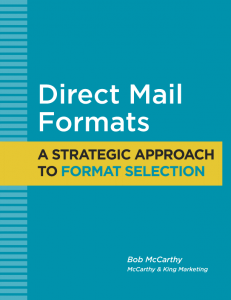 You can reach prospects at a fraction of the price of direct mail. One way to increase response is to offer a small gift (premium) for completing the survey. The gift doesn’t have to expensive. A $5 or $10 gift card is is sufficient. Premiums will add to your costs, but they will also deliver more responses. Another incentive for completing the survey is to offer to send respondents the overall results of the survey. People like to know how others answered the same questions. Sending the results along with the free gift that can go a long way. 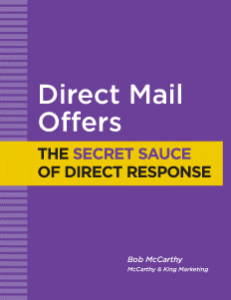 Most prospects who respond to your direct mail campaign will not be ready to buy right away. It may take several days, weeks, months or even a year or more before they are ready. The best way to stay in touch with your leads is with email – either an email newsletter or an email drip campaign. To learn more about marketing surveys, contact Bob McCarthy at 508-473-8643 or bob@mccarthyandking.com.